Hypoluxo is a town in Palm Beach County, Florida, United States. The name “Hypoluxo” comes from the Seminole name for Lake Worth, roughly translated “water all ‘round—no get out.” The lake was later renamed in honor of Seminole Indian War colonel William Jerkins Worth. However, the name “Hypoluxo” is still associated with the area on the south shores of the lake, as evidence by its appearance on an 1841 War Department map. Hypoluxo Scrub Natural Area is a protected landscape. With less than 1 square mile, this unique town offers an interesting blend of cultures, amongst its 3,000 residents. Hypoluxo is nestled in the heart of Palm Beach County, Florida, on the shores of the Intracoastal Waterway. It is only a few minutes west of Palm Beach and a mere pebble’s throw away from the sandy Atlantic beaches. Hypoluxo is located on Hypoluxo Road and US 1. The community of Hypoluxo is a very close knit community with traditions that go back more than 80 years. Although the area has grown in popularity, Hypoluxo still maintains its original beauty and is one of the safest communities in Florida. Hypoluxo is a non-school operating town. Students from Hypoluxo go to nearby school, Boynton Beach Community High School. When the weekend rolls in, the area has hiking trails and a nature trail for residents to enjoy. There are trails for pedestrians and cyclists to enjoy the beautiful scenic view. Its location is ideal for those who enjoy going to the beach and offers a variety of programs and places for citizens to get involved in the community. This waterfront town offers very affordable housing opportunities, which makes it a very appealing choice. The median home price is $180,000, with condominiums/townhomes being the most prominent housing styles in Hypoluxo. The town of Hypoluxo is a beautiful town perfected situated along the beach. Its proximity to the ocean make it an ideal choice for those who are looking for a small town feel near the peace and quiet of the beach. And it is conveniently close to Palm Beach for retail and dining. This tiny town has an outstanding fire and police department that makes residents feel safe and secure. This small residential community has a big heart and many families are attracted to this town because of that ideal small town feel and safe environment. With waterfront properties on the ocean, Hypoluxo is a dream place for those who enjoy sand and sea, ocean-living. There are many things to do in Hypoluxo. One can simply go and enjoy a full day at the beach or go on a boat tour. The town of Hypoluxo also has two parks to be enjoyed. One is the Hypoluxo Scrub Natural Area on Hypoluxo Road, which features an observation structure overlooking the Hypoluxo Scrub Natural Area. The second is Garnett Park located on South Federal Highway. It is a place to learn of the past and the experience of the Barefoot Mailman. The sculpture, “Sail into the Future,” by sculptor Frank Vargas, moves with the wind to inspire new thoughts. All in all, Hypoluxo is a great place to call home and this small town packs a punch, providing many things for residents to do. Hypoluxo offers the life of a small town and the close by advantages of big city living. For those who enjoy living near the water, Hypoluxo is the perfect choice. Whatever your budget happens to be on your new home, you’re likely to find a very desirable home in a peaceful location in Hypoluxo. If you plan on moving to Hypoluxo, Florida in the near future, you’ll likely find yourself living in one of the safe and walkable neighborhoods in the area. 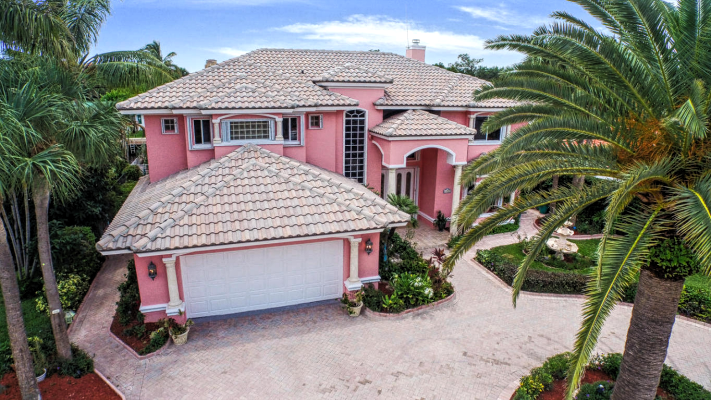 When you’re ready to take the next step to finding the best home possible in Hypoluxo, consider Mizner Residential Realty to help make your home buying experience a straightforward and rewarding one. Contact us today at 561-495-1516.